Beat sugars and butter. Stir in egg. Add peanut butter and vanilla; mix well. Gradually add flour and baking soda and combine. Line miniature muffin tins with miniature liners. Spray liners with a little bit of cooking spray. Roll batter into little balls and drop one in the middle of each liner, pressing down slightly to fill liner. Bake at 350 degrees for 10 to 12 minutes. 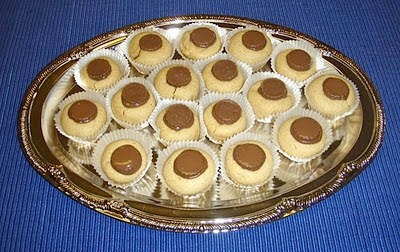 Remove from oven and place a mini Reese's in the center of each treat. Enjoy! 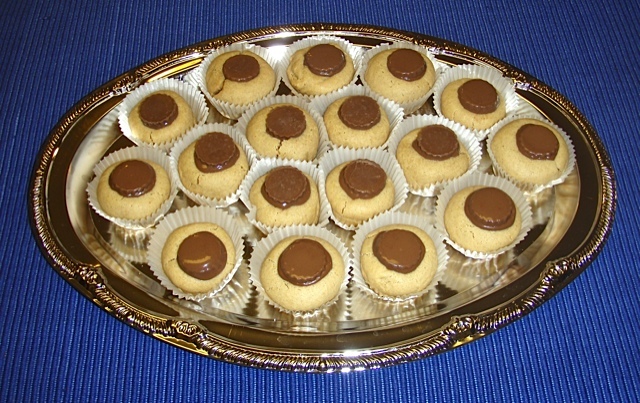 If you'd like a printer-friendly version of this recipe, Click Here.